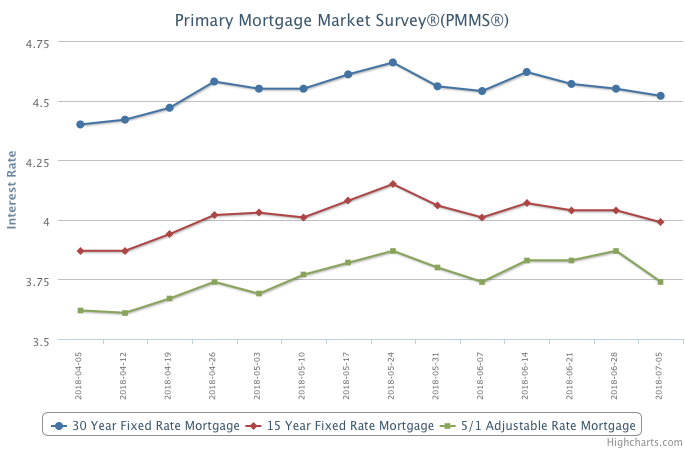 After a rapid increase throughout most of the spring, mortgage rates have now declined in five of the past six weeks. The run-up in mortgage rates earlier this year represented not just a rise in risk-free borrowing costs, but for investors, the mortgage spread also rose back to more normal levels by about 20 basis points. What that means for buyers is good news. Mortgage rates may have a little more room to decline over the very short term.